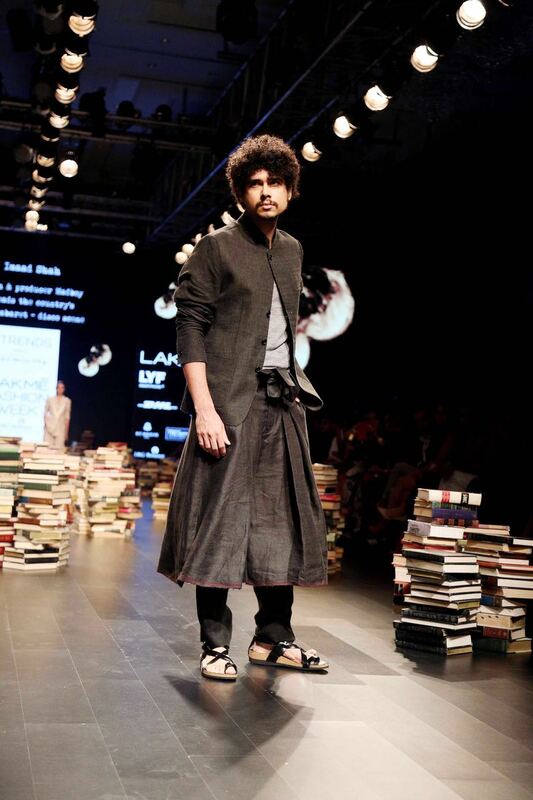 Rajesh Pratap Singh’s modern take on “The Punjabi Suit” was spectacular and edgy. 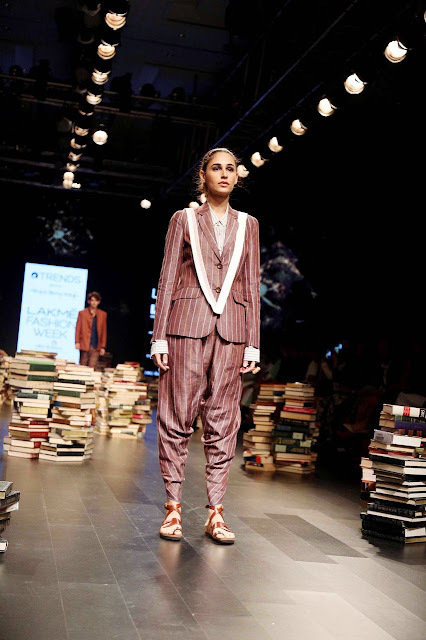 The earthy color palette, the fabric choice of paper, silk, linen and cotton and the bold retro off–kilter stripes, cross hatch grainy textures and ikats gave the collection a splendid feel. Androgynous silhouettes were apparent in many of the ensembles with along with oversized shape and a worn out effect. 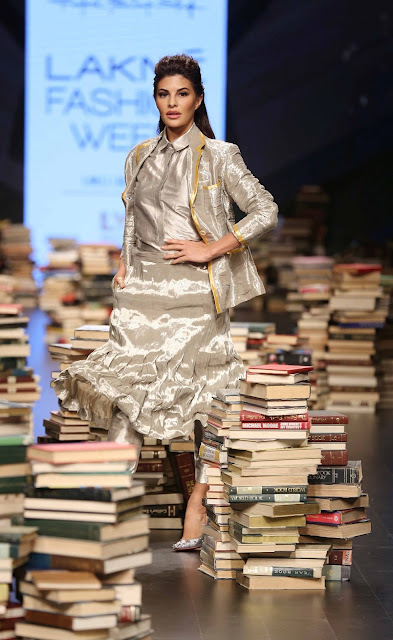 Making a heart stopping entry was the showstopper Jacqueline Fernandez in a shimmering jacket, simple shirt, crimped crushed flouncy skirt over cropped pants. 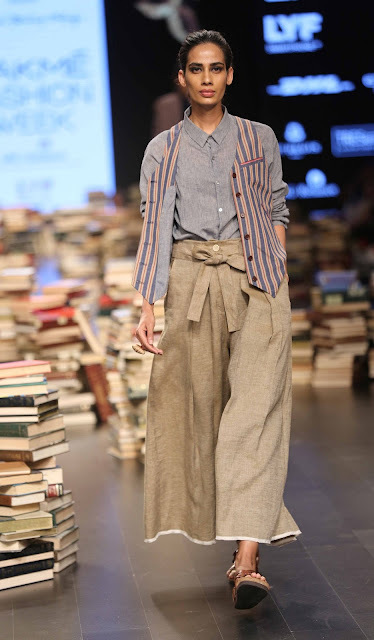 TRENDS presented an impressive wardrobe offering to women who want their wardrobe to be adventurous. Shows topper looks Sooo trendy.